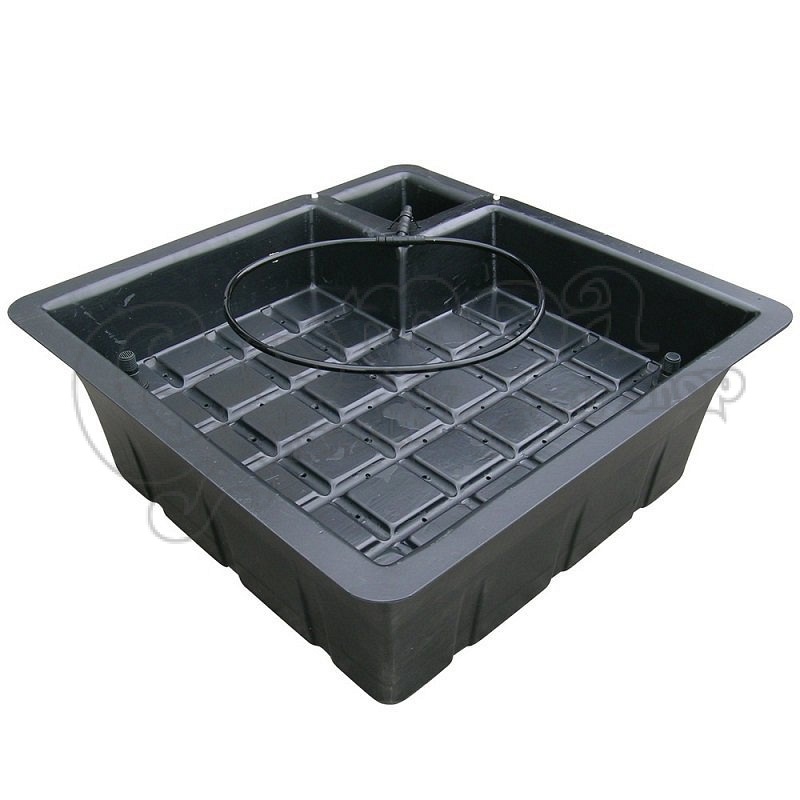 The Flo-Gro uses the most popular technique of hydroponic growing for a single specimen plant. 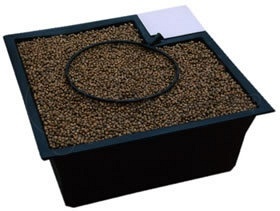 Compatible with all growing medium such as clay pebbles and GRODAN™ growcubes it puts all competitor products in the shade with easy access to pump and nutrient plus an adjustable delivery tube. 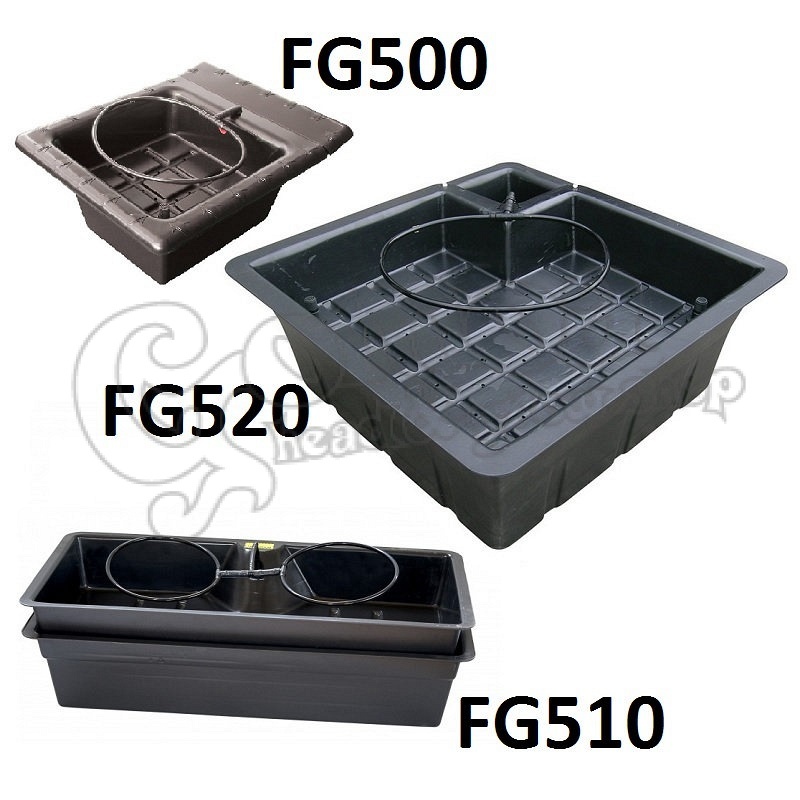 It is a Top Flooding system and is available in 3 sizes to fit most spaces and gro-light arrangements. 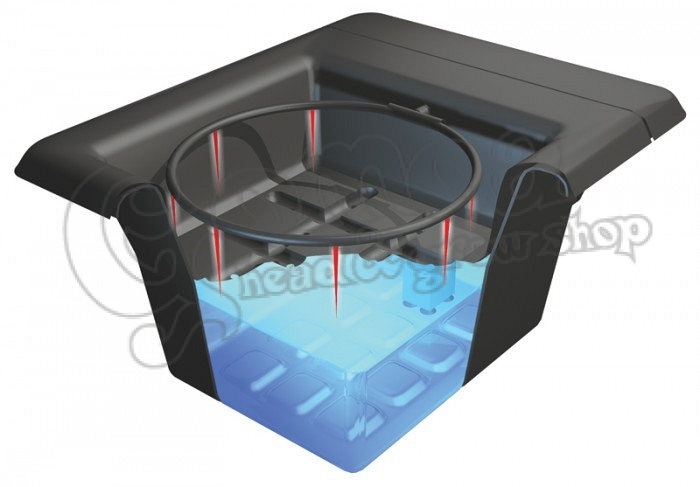 The Nutriculture Flo-Gro Dripper System is a small, stand-alone dripper system that’s ideal for growing 1 to 4 plants. 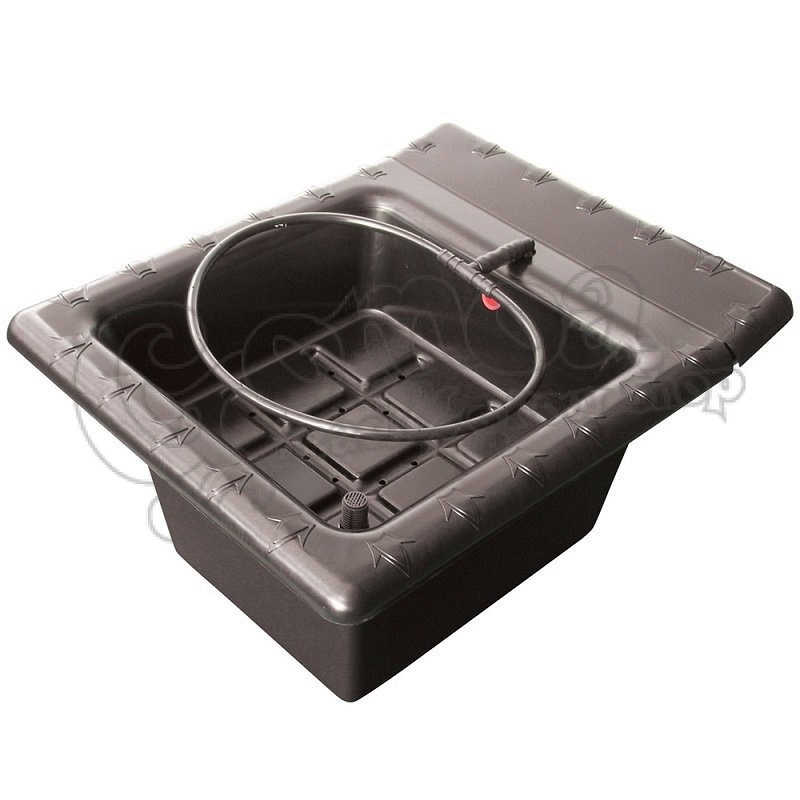 Nutrient solution is stored in the Bottom Reservoir Tank and your plants root into clay pebbles in a planter which is placed on the top. Periodically, the nutrient-pump is activated and nutrient solution is pumped up out of the reservoir to a dripper-ring above the clay pebbles. 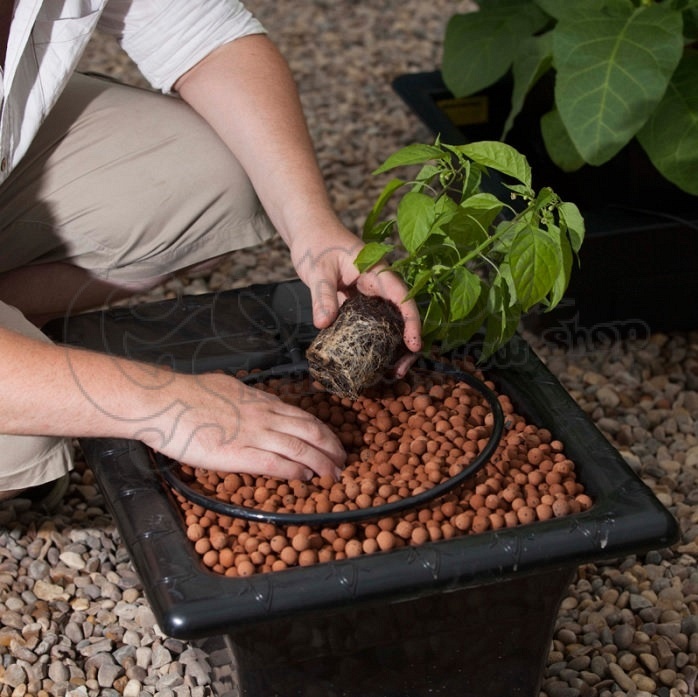 The nutrient solution then drips down through the clay pebbles, watering and feeding the plant as it does so. The nutrient solution then drains back down into the Bottom Reservoir Tank ready to be used again. 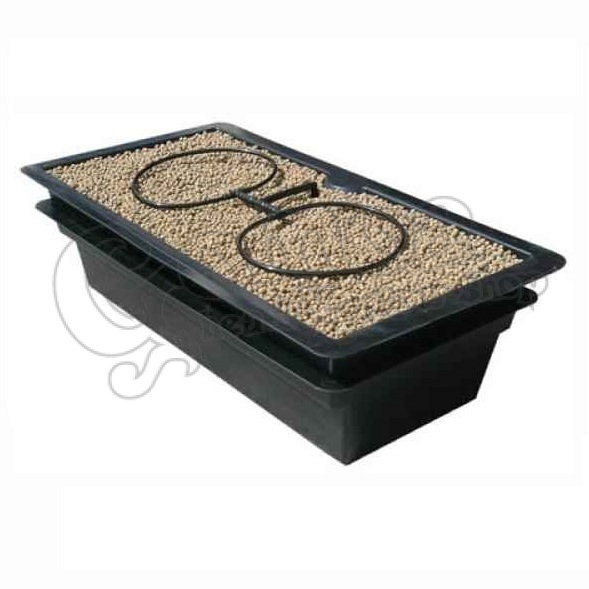 As the nutrient solution drains down through the clay pebbles, it pulls in lots of air into the root-zone providing the plant roots with an oxygen-rich environment. 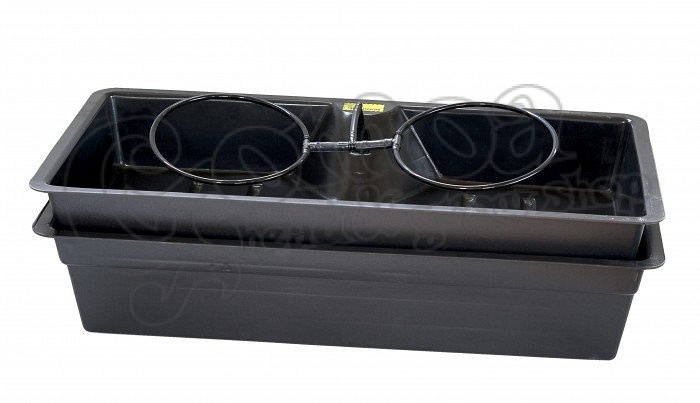 The Nutriculture Flo-Gro Dripper System includes an access panel on the top of the planter for easy access to the reservoir for nutrient solution changes and maintenance. An emergency overflow pipe near the top of the planter provides an alternative path for the nutrient solution to return to the reservoir by. Excellent delivery and even distribution of nutrient solution. Low level system to maximize headroom. Deluxe fittings for quicker drainage.